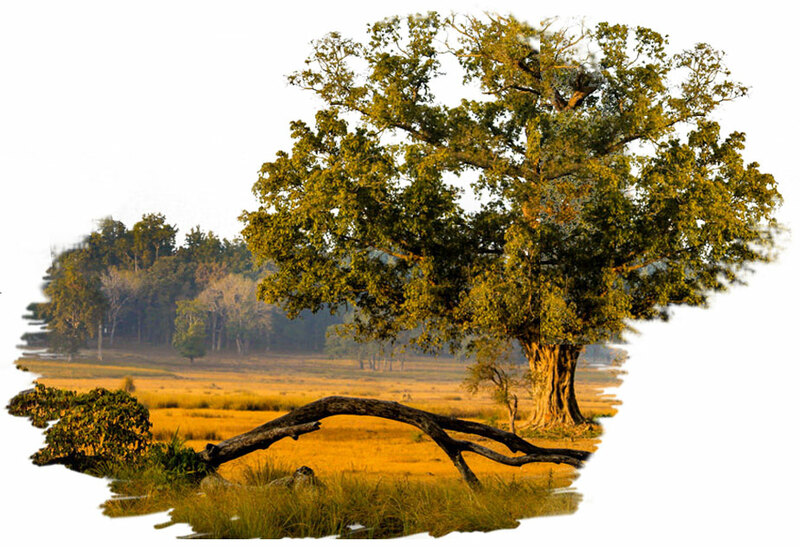 Established in 1955, Kanha National Park is the largest national park of Madhya Pradesh. 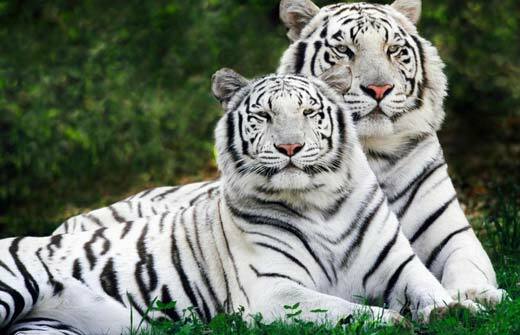 It is also known as Kanha Tiger Reserve owing to the umpteen number of Bengal tigers residing in the park. The 940 sq. km. 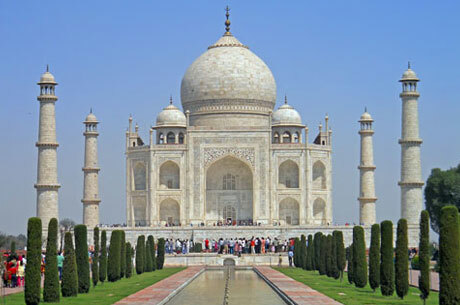 The sprawling area has lush bamboo and Sal forests along with the graceful grassy meadows. 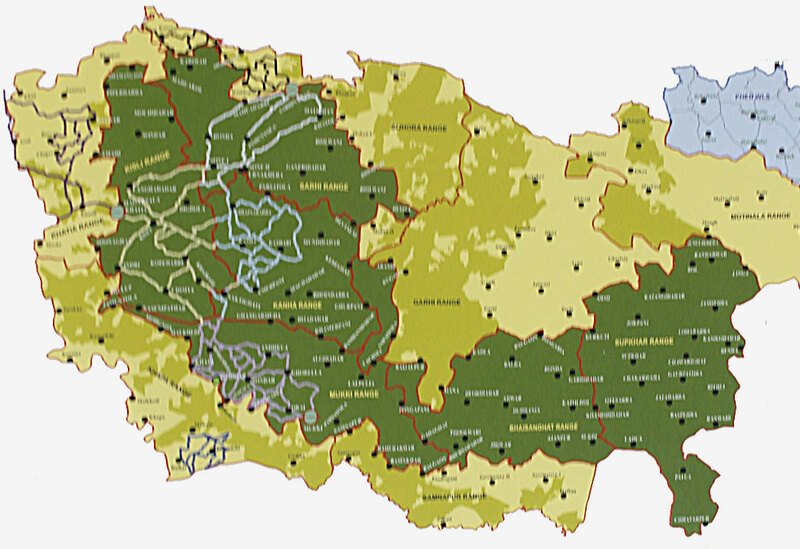 its area is distributed in two districts of Madhya Pradesh namely Mandla and Balaghat. Kanha National Park finds its place in the list of top 10 famous places for tourists. 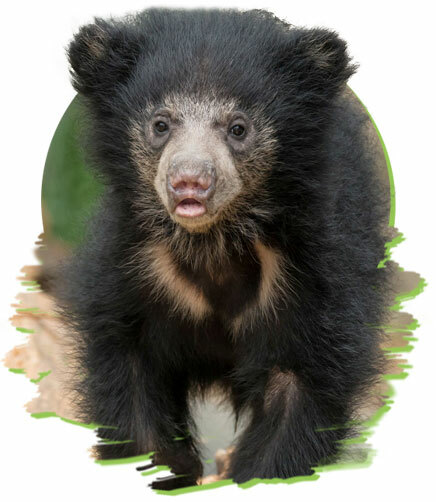 initiated by the government that it provides protection to endangered species like Indian leopards, the sloth bear, Indian wild dog, and barasingha. depiction in the famous novel “The Jungle Book” by Rudyard Kipling. 1 Kanha National park is well planned and managed by the authorities. The park has mainly three entrances. The gates are named Khatia Gate, Mukki Gate, and Sarhi Gate. This helps to bifurcate the large land of Kanha into neat zones for efficiency purposes. The zones are referred to as Kanha, Kisli, Mukki and Sarhi zone. The Khatia Gate embarks on the buffer zone. 2 Kanha zone is the finest yet the oldest zone. The second oldest zone is the Mukki zone. It is after these two zones that Kisli and Sarhi zones were established. Basically, a part of the Kanha zone was later developed in Kiskli zone. There are also buffer zones of Kanha National Park namely: Khatia, Motinala, Khapa, Sijhora, Samnapur, and Garhi. 3 Tourism takes place in 20% of the total area that comes under the four zones. All the zones have restricted roadways. 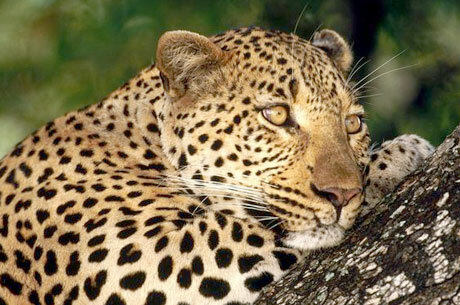 Wildlife safaris take tourists into the core areas with required permissions from the authorities. 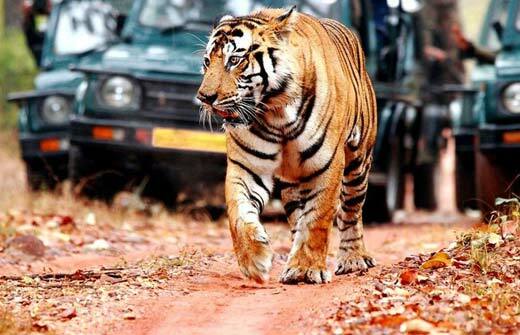 There are regulated Eco Tourism guidelines laid by the National Tiger Conservation Authority (NTCA) to keep a check on the environmental impact created by vehicles in the national park. 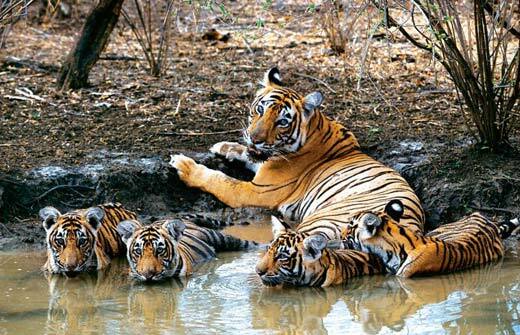 Kanha Tiger Reserve is the largest national park in the state of Madhya Pradesh. The mesmerizing diverse landscapes of Kanha National Park are sure to provide awe and wonderment to tourists. It is a vast spread habitat for umpteen types of animals and plants. It provides enchanting locations to spend time in peace. One of the most amazing places in Kanha National Park is Bamni Dadar. It is also known as sunset point and is ideal for picnics. The view of setting sun is jaw-dropping and worth capturing. Tourists relish the scenic charisma of the natural reserve area. The sight of grazing sambhar, barking deer, and gaurs add magic to the aura The land of Kanha is also abode to umpteen species of flora. The mere sight of such beautiful species soothes the soul. There are around 200 types of flowering plantations, the major ones being Sal, Bija, Lendia, Dhawa, Tendu, Saja, Palas, Mahua, Aonla, Achar, and Bamboo. 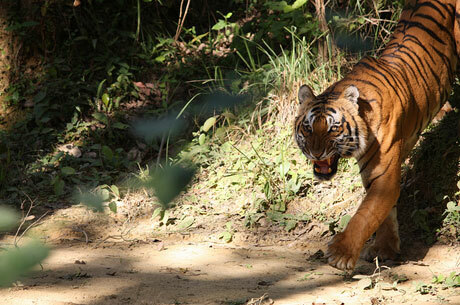 Kanha National Park is referred to as Kanha Tiger Reserve due to its rich tiger population. It proudly has the maximum tiger density in the country with around 8 tigers per 100 sq. km. Kanha was declared officially a tiger reserve back in 1973 under the great Project Tiger. Since then, WWF (World Wide Fund) India has made relentless efforts to maintain the treasure of tiger population. They provide ample preys to support the habitat of the great Royal Bengal Tigers. 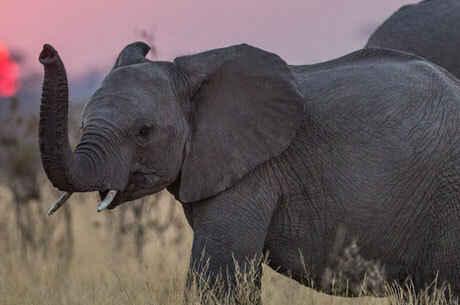 There are laws restricting hunters that have in the past contributed to great losses of the treasured species. 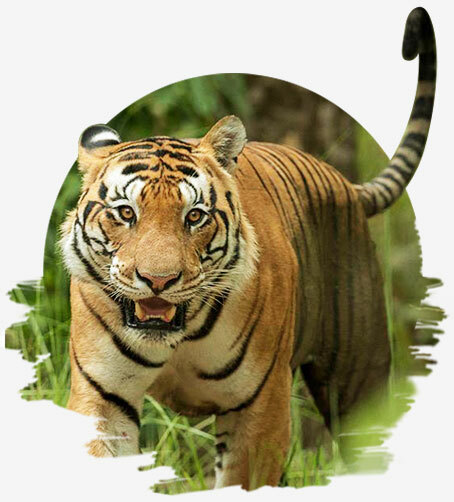 One of the most renowned tiger species spotted in Kanha Tiger Reserve is the Indian Tiger. Kanha was the inspiration behind the popular book titled Jungle Book by Rudyard Kipling. Besides the supreme predator, there are other co-predators like Leopards, Wild Dogs, Jungle Cats, and Foxes. The wild dog is typically called Dhole and is sighted moving in large groups. The Indian leopard belongs to the family of big cats and is extremely fast in speed. The Bengal fox can be easily spotted in the forests of Kanha National Park. The swamp cat or jungle cat is medium in size and breeds in swamp areas. The Kanha National park is replete with the number of Barasinghas or swamp deer. It is identified as the species of sub-Himalayan Terai of North India. It is the glory of the national park and is hence termed as the ‘jewel of Kanha;. This majestic deer species is largely dependent on grasses and grasslands mainly attracted towards aquatic plantations. They love to wade through waters and are highly adaptable in nature. 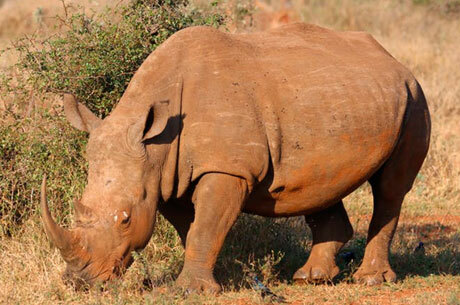 Their beautiful skin and horns attra cted poachers and hunters in the past. This hardly hit the reserve’s Barasingha population. 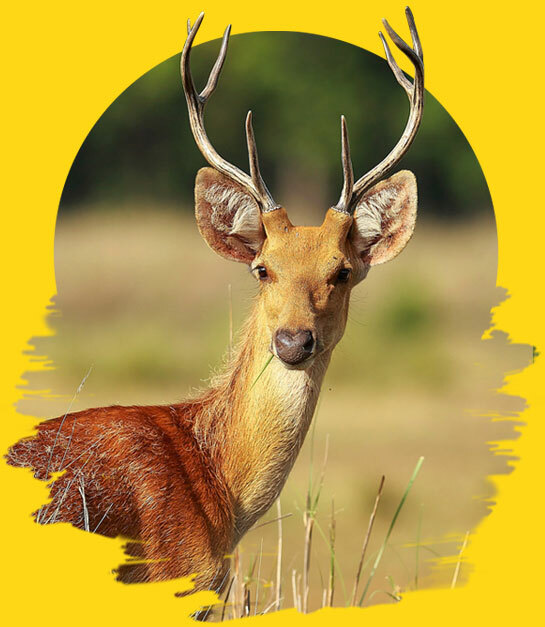 Due to hard-work of the officials of Kanha National park, they were able to preserve of the swamp deer who had become victims of large- scale killing. The intention of wildlife conservation encompassed the relocation of Gaur to Bandhavgarh and Barasingha to Satpura Tiger Reserve. They succeeded in introducing at least 500 Barasingha in this national reserve to nine different sites. Kanha National Park became the first national park in the nation to have an official mascot known as “Bhoorsingh the Barasingha”. It was an initiative to spread awareness and save the royal species from extinction. It provides a unique identity to the historic reserve. Apart from interesting wildlife lures, here you will also find over 1000 flowering plant species. There are approximately 300 avian species in Kanha National Park. One can easily get delighted to spot spell-bounding birds from the top of hills and in grassy lands. Pretty water species can be sighted near rivulets mainly Sarvantal pool in front of the museum. 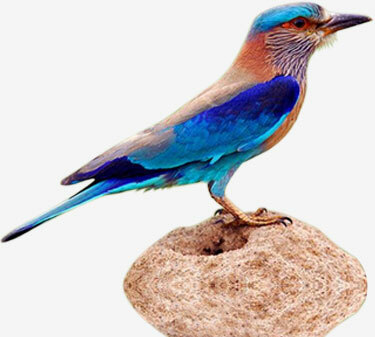 The most commonly seen birds are the black ibis, bee-eaters, cattle egret, blossom- headed parakeets, pond heron, drongos, common teal, crested serpent eagle, grey hornbill, Indian roller, lesser adjutant, little grebes, lesser whistling teal, minivets, pied hornbill, woodpecker, pigeon, paradise flycatchers, mynas, Indian peafowl, red junglefowl, Red-wattled Lapwing, steppe eagle, Tickell flycatcher, white-eyed buzzard, white-breasted kingfisher, White-browed Fantail, wood shrikes and warblers among many more. The swamp deer, also called the Barasingha, is known as ‘the jewel of Kanha’. The Kanha National Park also supports habitat for many other animals. There are approximately 22 mammal species and 11 rare species of animals. Swamp deer orbarasingha is the most prominent species of the reserve. The Indian gaur is spotted in the area mostly in winters. The four-horned antelope is mostly seen at the Bamni Dadar climb. Mouse deer is a recent discovery in the Kanha forest area. Blackbuck population in the national park has become worrisomely less. Lucky are you if you get to sight slothed bears and striped hyenas. Nilgai is popularly spotted near the Sarahi gate while Indian wolf is rarely sighted. Others great species include hyena, langurs, wild boars, civets, porcupine, ratel or honey badger and hares. Air: Jabalpur is the closest airport to Kanha just 169 KMS away, Raipur 219 KMS and Nagpur airport is at the distance of 266 KMS. Train: Jabalpur station is 169 KMS far from the park is the most convenient railway station to take the trains. 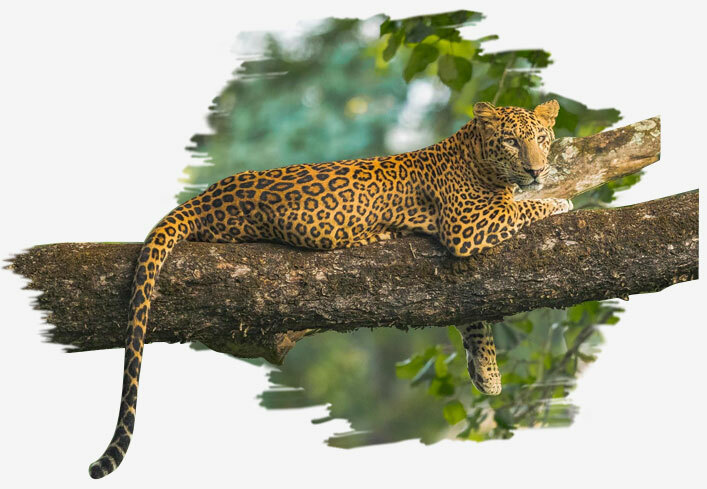 Road: Kanha National Park is very well connected by the highways to Jabalpur 169 KMS, Nagpur 266 KMS, Mukki 25 KMS and Raipur 219 KMS. The best period to explore the park is from Octuber to June. Kanha National Park like other Indian national parks too remains closed during the time of monsoon. 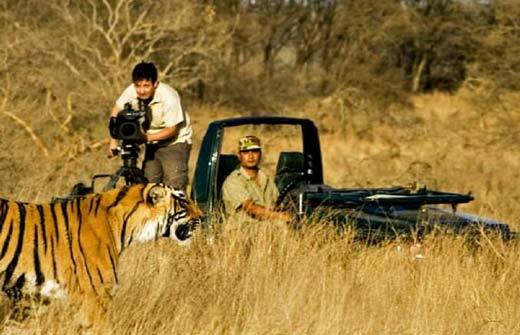 Land of the Tigers is an award winning film made in Kanha National Park in the year 1980 for National Geographic. Looking to book a Safari in Kanha National Park ? Our wildlife experts are here to help.